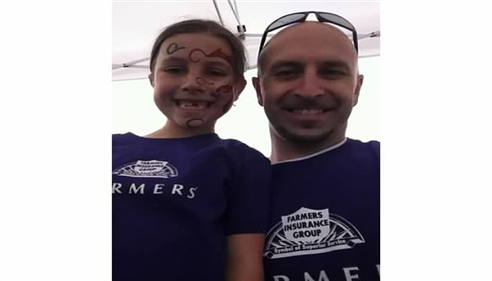 I have lived in Cheyenne, WY for over 9 years and am in my 6th year as a local Farmers® agent. I love this community and in my view, people come first! 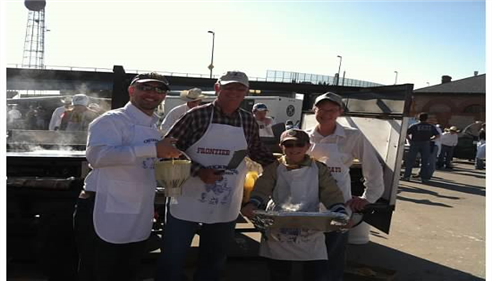 Some of the organizations I have helped serve and lead are my local church, Cub Scouts (Pack 219) and Boy Scouts (Troop 116), The Cheyenne Kiwanis Club, our local MLS Realtor Association, and various charity banquets for local non-profits. I am also a member of our Cheyenne Chamber of Commerce. I love helping my clients identify coverage that best fits their specific needs, and uncover other needs and gaps they may not have noticed. It is my goal to make you smarter about your insurance! I have the knowledge and experience to help you better understand your coverage options--whether that's auto, home, renters, business insurance and more! My office is located in the New Bedford Square, a small business complex just to the North and East of the Maverik gas station and Daz Bog Coffee Shop. Feel free to stop by for a complimentary no-obligation quote! Give me a call at (307) 632-1276 and I'll be happy to answer any questions you might have. The Jason Duda Agency encourages you to sign up for your personalized Farmers.com account. It helps ensure your insurance experience with Farmers is a pleasant one where you have control and easy access to your policies! 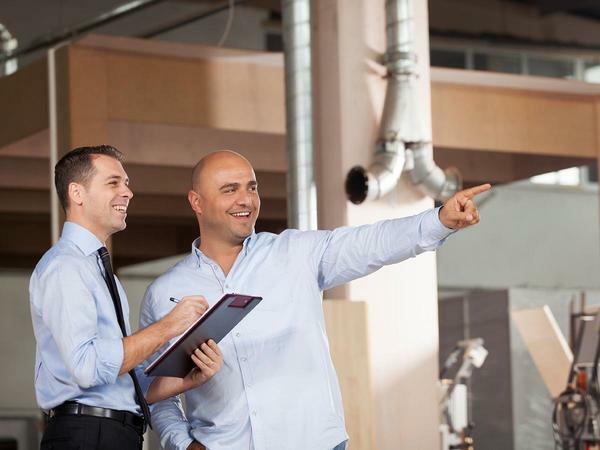 The Jason Duda Agency knows the important role insures have for many Cheyenne area small businesses that we insure. 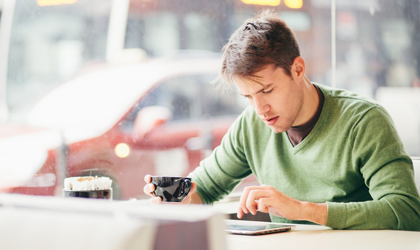 When you're a small business owner, you may have to make tough sacrifices. Insurance shouldn't be one of them. Stop by for a visit and I’ll help you select the coverage you want and need, OR let me know where your office or business is located and I'll visit you. Life insurance can help you to provide financial support for the ones you love if something happens to you. Give us a call or email us for a no obligation quote on the most important policy we offer and provide. The personalized service that comes with your Farmers auto coverage might be the best recommendation for adding a Farmers homeowners policy to your insurance portfolio. When you purchase an additional policy, you might also qualify for a multi-line discount. Reach out to me today for more information. 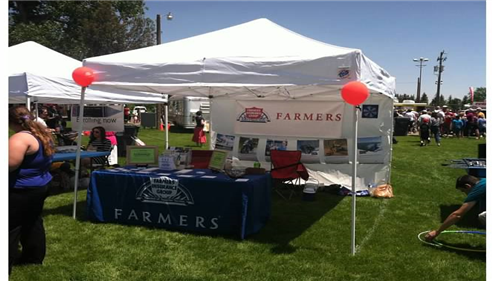 Farmers has spent the last 60 years getting to know outdoor enthusiasts. 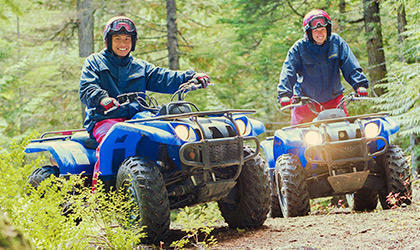 From boats, personal watercraft and off-road vehicles to motor homes, travel trailers and 5th wheels, we have an array of specialized coverage options for your next adventure! Give me a call today for more information. 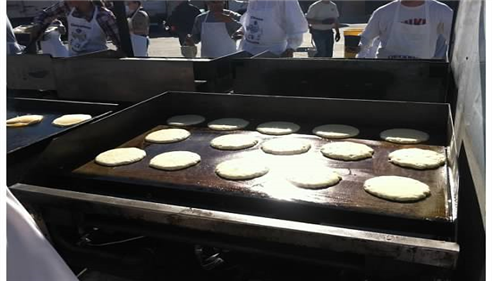 Everything went real well with my visit there at Farmers, and is looking forward to being a customer with Farmers. Always a good help and explains things clearly and completely. 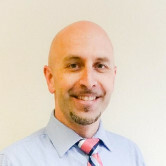 I had a very good experience with the team at Jason Duda agency. 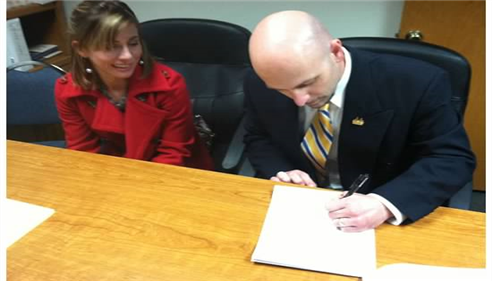 Signing my Career Agent contract with my wife, Jamie! 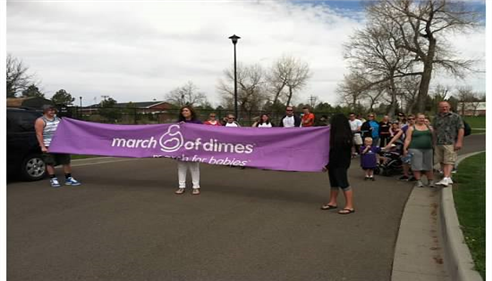 Attending the annual March of Dimes 5K in Cheyenne, WY. My little girl Sydney and I at the March of Dimes 5K, May 2013. 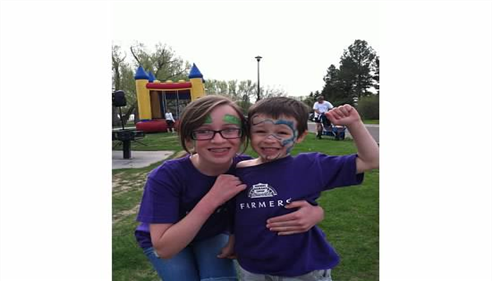 My daughter Adrienne and son Nicholas at March of Dimes 5K run, May 2013. 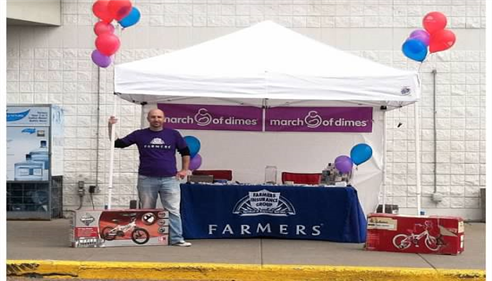 My agency partners with K-Mart for a March of Dimes fundraiser, June 2013. SUPER DAY at Lions Park, June 2013. 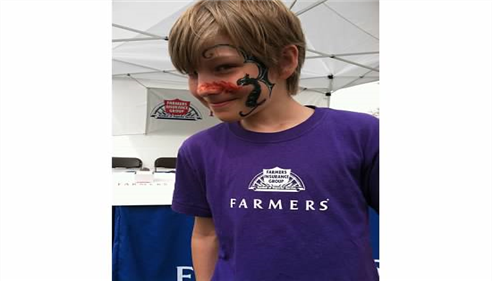 My face-painted son, Nathan, at the March of Dimes 5K, May 2013. 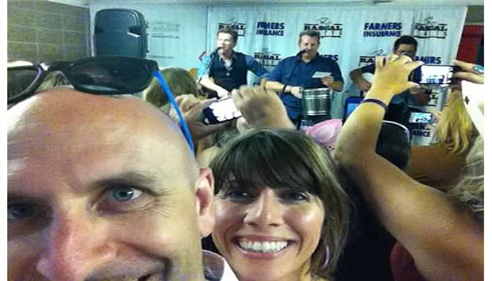 My wife Jamie and I backstage w/ Rascal Flatts! CFD, July 2013. 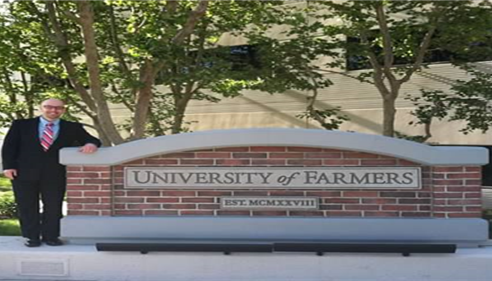 Jason Duda at the University of Farmers® in CA, April 2013. 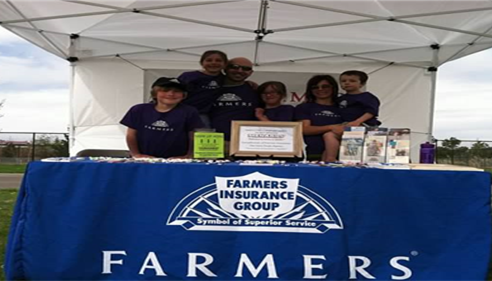 My family in the Farmers® booth at the March of Dimes 5K, May 2013. 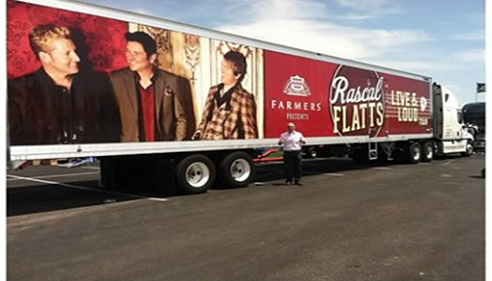 Farmers® sponsored the Rascal Flats Tour at Cheyenne Frontier Days, July 2013.